We are a unique boutique landscaping service based in Houston, Texas. We specialize in a technique that is a lush form of xeriscaping that we started utilizing 25 yrs ago. Most of the vines, trees, shrubs, and flowers we use are perennial, cold and heat hardy, and require little management. This landscaping technique uses colorful plants that survive on natural rainfall, so you can sit back, relax, and enjoy your personal paradise! Since 2015, Jeff Law has been working on a novel. More updates coming soon. Click here for KHOU 11 video coverage of Jeff's personal oasis. Xeriscaping is a landscaping or gardening technique that minimizes water use by choosing plants that are well adapted to your environment. They are heat, cold, and drought tolerant so it takes the hassle out of maintaining your oasis. 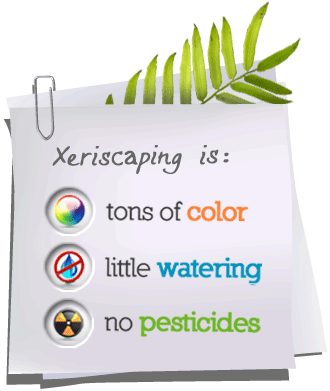 Our unique take on xeriscaping uses bright punches of color and lush green foliage. We believe color is like music and can profoundly affect our mood and sense of well-being. Let us create your personal paradise! Call today to set up a consultation! (713) 256-0398.